Label marking surfaces for each port. Optional 1/2 (.5) RU, 1RU in height or the Mini 100 type. RJ45 female ports on front and 110 type wire termination blocks on back. 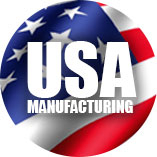 Compatible with 23-26 AWG solid and stranded conductor cables. Fully compatible with Network Cable Termination Hubs. 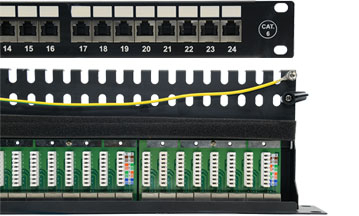 Fibertronics offers a complete line of Network Patch Panels, Including Cat6, and Cat5e, with full premium copper UTP, IDC, Krone, 110 RJ45, 568 A/B Compatiblity. Cat Patch Panel Wall Mounting Brackets.